I have three new posts to report from my monthly language column at Macmillan Dictionary. Metaphors are part and parcel of English. Language lets us map the world around us, and metaphors are an important way of doing this. We take an image or idea from one domain and apply it in another, extending its use. This often takes the form of a physical idea being expressed in a figurative way. Food is one such domain. The language of food is rich and varied, and refers to very common and tangible feelings and experiences. So food words lend themselves well to metaphorical use. So well, in fact, that we can take one small section of food – condiments – and find an array of these metaphors in use. Within decades, dilemma was being used in more general ways. Shakespeare, in All’s Well That Ends Well, has Parolles say: ‘I will presently pen down my dilemmas, encourage myself in my certainty’. From the early sense of a choice between two undesirable options, it came to mean a choice between several such options, then simply a difficult situation or predicament. This was too much for linguistic conservatives, who felt the word was being unduly weakened. Dictionaries offer lots of other information about words and phrases, including their pronunciation, secondary senses, grammatical category, inflections, and use in the language, shown through example sentences. A dictionary may also provide synonyms, etymology, and information about a word’s frequency in the language. Readers looking for one particular thing may end up browsing an entire page or clicking through to other entries, curious about the many facets of a word and the different relationships it can have with the language. Serendipity abounds. 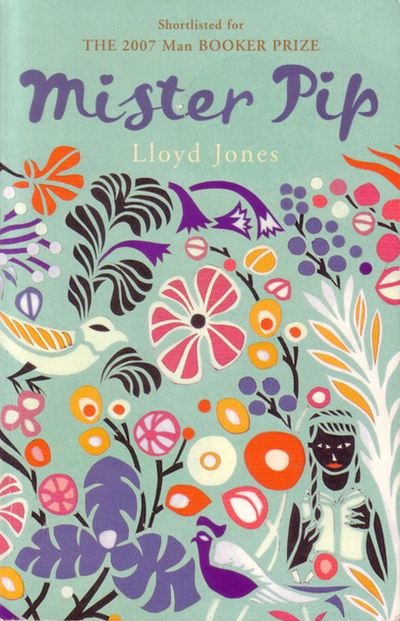 I didn’t know the New Zealand writer Lloyd Jones before buying a copy of Mister Pip on spec, persuaded by the back-cover blurbs. The book is a gem, humorous, moving, and understated. It also has an episode of some linguistic interest. Before Sarah’s birth they had used the spare room as a dumping ground for all the things they had no use for. Now they agreed to start again with it empty. . . . And why pass up the opportunity of a blank wall? Why go in for wallpaper covered with kingfishers and flocks of birds in flight when they could put useful information up on the walls? They agreed to gather their worlds side by side, and leave it to their daughter to pick and choose what she wanted. And so they begin writing on the walls of the nursery-to-be: family names, place names, scraps of history and philosophy, and lists both ‘fanciful and weird’: things that tell you where home is, broken dreams, advice on how to find your soul. Like has undergone radical developments in modern English. It can function as a hedge (‘I’ll be there in like an hour’), a discourse particle (‘This like serves a pragmatic function’), and a sentence adverb (‘It’s common in Ireland, like’). These and other non-standard usages are frequently criticised, but they’re probably older than critics think. So some uses of like are emerging right now, spreading through younger speech communities. In episode 278 of Australia’s Talk the Talk podcast, guest Alexandra D’Arcy – a linguistics professor who literally wrote the book on like – says that while she might say ‘at like the same time’, her son can say ‘at the like same time’, which is not in her grammar at all. It’s a subtle but striking difference. It gets better. The latest novel use to which like is being put is as an infix. Infixes are a pretty small set in English, so a new one is a genuine surprise, linguistically. In some ways it is unlikeprecedented. We’re here to talk to a doctor, Jonas and I. We’re both on the same mission. And, or but, or and and but, we’re on different missions too. We need a new conjunction, a word that means ‘and’ and ‘but’ at the same time. I’m not saying anything I haven’t said before: this is one of my things, particularly with Tor, which is short for Tori, which she never uses. This ‘and-but’ word thing of mine isn’t even a joke between us any more. It used to be when I’d say, ‘I mean both of them at once!’, she’d say, ‘Band? Aut?’ In the end we settled on bund, which is how we spell it although she says it with a little ‘t’ at the end, like bundt. Now when either of us says that we don’t even notice, we don’t even grin. It almost just means what it means now. So Jonas and I are here in Sacramento, on missions that are the same bund different. Although honestly I don’t know that either of us thinks we’re going to figure much out now. The purity of language is under unrelenting attack from every side – from professors as well as from politicians … and not least from those indulgent compilers of modern dictionaries who propound the suicidal thesis that all usages are equal and all are correct. There’s a lot going on there, so I’ll break it down a bit. The elided material after ‘politicians’, by the way, clunkily extends the list of attackers to include newspapermen, advertising men, men of the cloth, and men of the sword. While we can blame men for many things, this ain’t one of them. Politically Schlesinger may have leant liberal, but linguistically he was reactionary, if that line is any indication. Its points are ignorant and extremist (‘attack’, ‘suicidal’? Come on), and laden with false premises and invidious doom-mongering. 1. No natural language is pure. 2. Linguistic variation and innovation ≠ "attack". To elaborate: If English were not so gloriously impure, so amenable to borrowing willy-nilly from other tongues from the year dot, we may not be speaking it today. If it survived at all, its reach – geographically and expressively – would be more provincial. This capacity to absorb bits of other languages is a feature, not a bug. Anyone banging on about a language’s ‘purity’, unless it’s a computer language, or a constructed language that has never been used in conversation, needs a history lesson, stat.